atable wing and the traction tether are made from strong but flexible lightweight materials. In contrast to conventional wind turbines, this tensile structure is not obstructing the view. It is an ideal basis for a highly mobile wind energy system. The heavy generator is positioned at ground level, which facilitates servicing and also minimizes structural forces. The direct force transmission into the ground station removes the need for bending-resistant foundations, which is particularly interesting for deep-water offshore deployment. 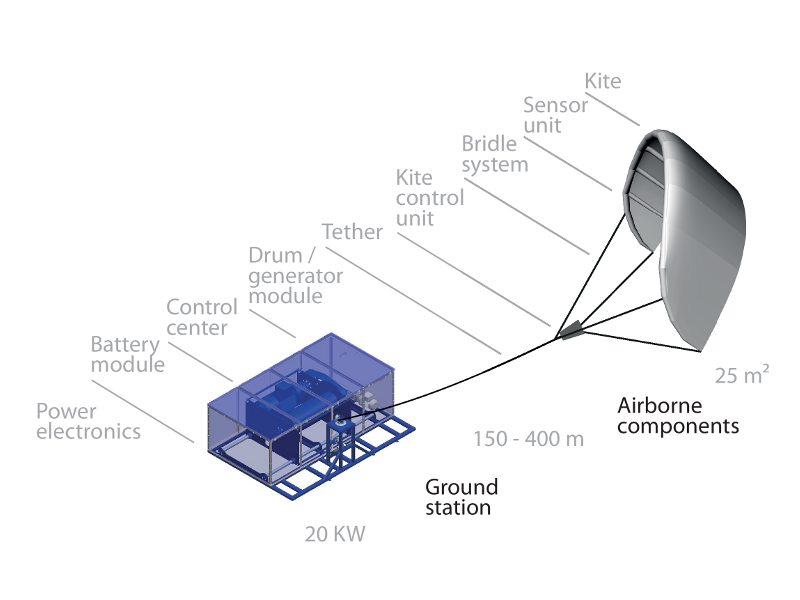 The technology demonstrator of Delft University of Technology uses a tele-operated airborne unit for the flight control of the kite, which can access altitudes far beyond the limit of conventional wind turbines (200 m). Wind at these altitudes is stronger and more steady which increases capacity factors of the system to about 60%. 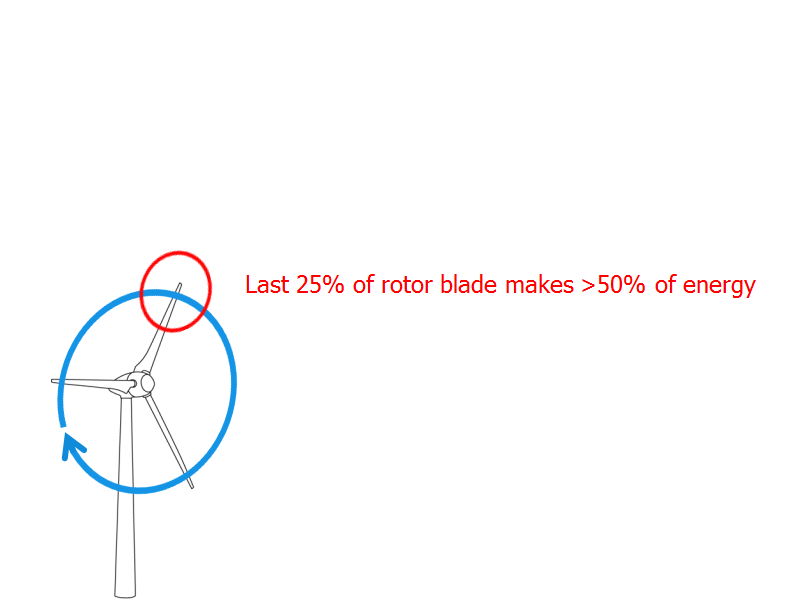 Conventional wind turbines presently achieve values of 20-35%. ying figure-eight maneuvers at high speed (70 to 90 km/h). 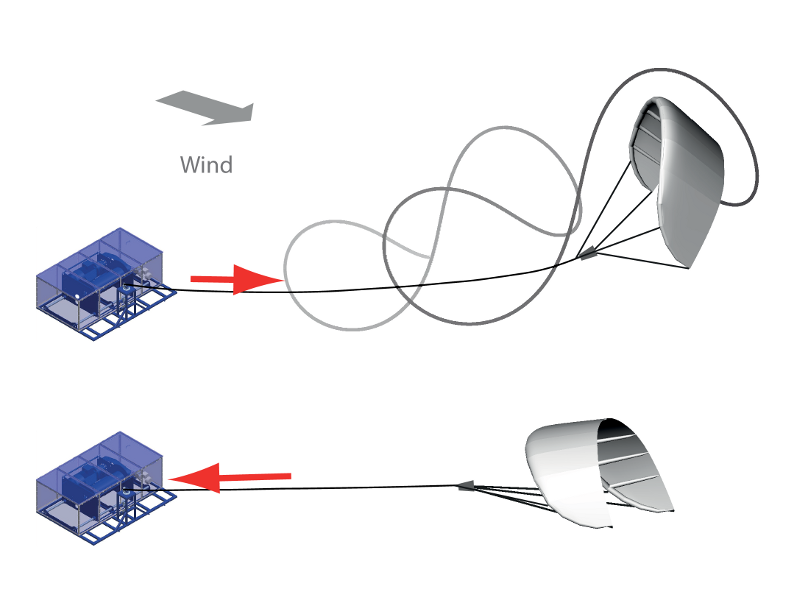 This creates a high traction force (3.1 kN at 7 m/s wind speed) which is converted into electricity by the drum and the connected 20 kW generator. 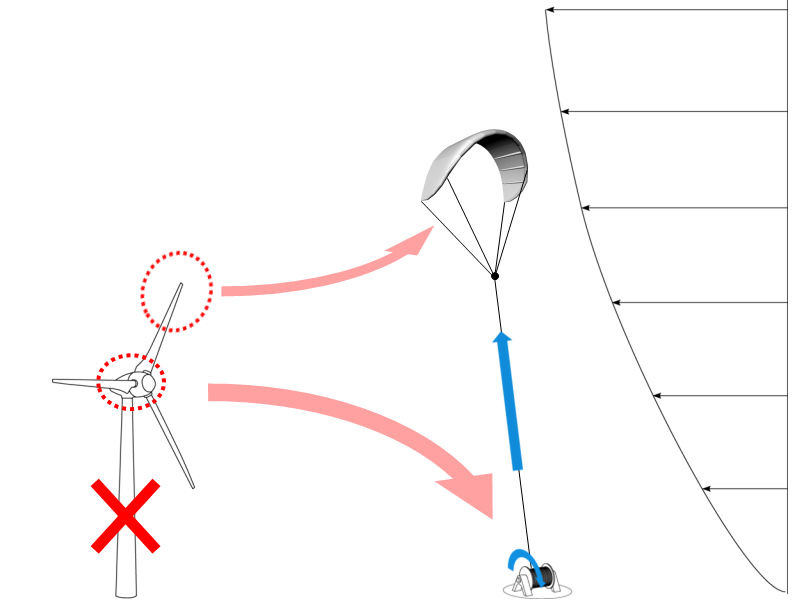 When reaching the maximum tether length, the kite is de-powered by releasing the rear (steering) lines such that the whole wing rotates and aligns with the apparent wind. Using the drum/generator module as a winch, the kite is now pulled back to the initial position to start the next pumping cycle. De-powering reduces the traction force during reel-in by 80% and for this reason the energy consumed during reel-in is only a fraction of the energy generated during reel-out. Crucial element of the technology is the automatic control and synchronization of the drum/generator module and the flight dynamics of the kite.